Tracking of the transaction will happen only after user checks in. Only fully used/consumed bookings will be eligible for cashback. 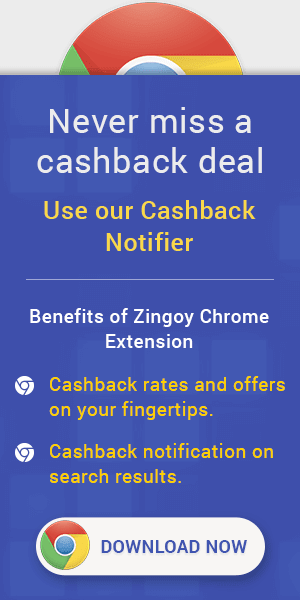 Cashback will not be payable if any amends/changes are made to the booking. Hotels Discount Offers : Now get up to 70% saving on Last Minute Deals on Hotels booking at Hotels India. Please see specific details for each hotel listed above by clicking the hotel of your interest. Search with your preferred travel dates to view the discounted rates applicable for your stay. The hotel discounts advertised on this promotion page apply to selected hotels only and all rates are subject to availability. The discounted hotel rates can also be accessed via searching on the Home page. Prices are per double-room including all taxes and fees. Hotels India Promo Offers : Now book your Hotels,. Holidays in popular destinations like Mysore, Ooty, Kodaikanal and more. Save upto 60% on your booking. Coupon code is not required. Checkout the landing page for more details. Hotels India Discount Offers & Coupons : Choose top 50 destinations from Agra Hotels, Amsterdam Hotels, Bali Hotels, Bangkok Hotels, Barcelona Hotels, Bengaluru Hotels, Brussels Hotels, Chicago Hotels, Colombo Hotels, Dubai Hotels, Edinburgh Hotels, Frankfurt Hotels, Goa Hotels, Guangzhou Hotels, Hong Kong Hotels, Hyderabad Hotels, Istanbul Hotels, Jaipur Hotels, Kochi Hotels, Koh Samui Hotels, Kolkata Hotels, Kuala Lumpur Hotels, Langkawi Hotels, Las Vegas Hotels, London Hotels, Los Angeles Hotels, Mahe Island Hotels, Melbourne Hotels, Miami Hotels, Milan Hotels, Mumbai Hotels, Munich Hotels, New Delhi Hotels, New York Hotels, Orlando Hotels, Paris Hotels, Pattaya Hotels, Phuket Hotels, Prague Hotels, Pune Hotels, Rome Hotels, San Francisco Hotels, shanghai Hotels, Singapore Hotels, Sydney Hotels, Tokyo Hotels, Venice Hotels, Vienna Hotels, Zurich Hotels & More. Now book your Hotels in Mumbai and get up to 60% discount. Choose your destinations from Bandra Kurla Complex, Gateway of India, Marine Drive, Dhobitalao, Chhatrapati Shivaji Terminus, High Street Phoenix Mall, Powai LakeSaifee Hospital, Bombay Stock Exchange, Bombay Convention & Exhibition Centre, Prince Aly Khan Hospital, Aksa Beach, Bombay Hospital, Shri Swaminarayan Temple, Shivaji Park, P.D. Hinduja Hospital & Medical Research Centre, Grant Road, Versova Beach, Hiranandani Business Park - Powai, Haji Ali Dargah and more. Now book your Hotels in Dubai and get up to 50% discount. Choose your destinations from Dubai Mall, Burj Khalifa, Jumeira Beach and Park, Mall of the Emirates, Deira City Centre, Dubai International Convention and Exhibition Centre, Gold Souk, Dubai Creek, Wafi City Mall, Jumeirah Lake Towers, Burj Al Arab, Dubai Marina Mall, Dubai FountainWild Wadi Water Park, Dubai International Financial Centre, Dubai World Trade Centre, BurJuman Mall, Naif Souq, Souk Madinat Jumeirah, Hyatt Regency Dubai Golf Park & More. Now book your Hotels in Bangkok, Thailand and get up to 60% discount. Choose your destinations from City centre, Suvarnabhumi International Airport (BKK), Bangkok City Centre, Terminal 21 Shopping Mall, Pratunam Market, Khao San Road, Asoke BTS Station, Nana BTS Station, Siam Paragon Mall, Erawan Shrine, Platinum Fashion Mall, Siam Station, Grand Palace, Sukhumvit Station, Sanamluang, Bangkok (DMK-Don Mueang Intl. ), Sampeng Market, IMPACT Exhibition and Convention Centre, Victory Monument, Chatuchak Weekend Market & More. Hotels India Coupons : Now book your Hotels in Chennai and get up to 60% discount. Choose your destinations from City centre, Chennai International Airport (MAA), Thiruvallur Station, Thirunallar Temple, Chennai Citi Centre Mall, Pallavaram, Mamallapuram Beach, Chennai Ambattur Station, Sholinganallur, Chennai Tambaram Sanatorium Station, Chennai Chromepet Station, Chennai Meenambakkam Station, Chennai Singaperumal Koil Station, Chennai Chengalpattu Station, Express Avenue, Chennai Central Station, Chennai Tiruvottiyur Station, Chennai Avadi Station, Minjur Station, Chennai Ennore Station & More. Hotels India Cashback Promo Offers : Now book your Hotels in New Delhiand get up to 60% discount. Choose your destinations from City centre, New Delhi Station, Indira Gandhi International Airport (DEL), New Delhi Hazrat Nizamuddin Station, Kingdom of Dreams, GTB Nagar Station, New Delhi Anand Vihar Terminal Station, Uttam Nagar East Station, Lotus Temple, Dilli Haat Market, India Gate, Janakpuri District Centre, New Delhi Metro Station, Nehru Place Station, Green Park Station, New Delhi Chanakyapuri Station, All India Institute of Medical Sciences, Indraprashtha Apollo Hospital, Dilshad Garden Station, Fortis Escorts Heart Institute & More. Hotels India Cashback Codes : Now book your Hotels in Hyderabadand get up to 60% discount. Choose your destinations from City centre, Secunderabad Station, HITEX Exhibition Centre, Hyderabad (HYD-Rajiv Gandhi Intl. ), Chilkur Balaji Temple, Hyderabad International Convention Centre, Hyderabad Necklace Road Station, Hyderabad Lakdikapul Station, Hyderabad Deccan Station, Charminar, Hyderabad Kacheguda Station, Secunderabad Clock Tower, Hyderabad Central Mall, Taramati Baradari, Mindspace IT Park, Hyderabad Chandanagar Station, Hyderabad Khairatabad Station, Hussain Sagar Lake, Secunderabad Malkajgiri Station, Osmania University & More. Hotels India Cashback Offers : Now book your Hotels in Singapore and get up to 50% discount. Choose your destinations from Singapore City Hall, Marina Bay Sands Casino, Raffles Place, Suntec Singapore, Bugis Street Shopping District, Gardens by the Bay, Singapore Botanic Gardens, Siloso Beach, Singapore Expo, Suntec City, Marina Bay Sands Skypark, Universal Studios Singapore®Marine Life Park, National University of Singapore, Singapore National Stadium, National Museum of Singapore, Bugis Junction Shopping Center, Suntec Convention & Exhibition Center, Bugis+Esplanade Theatres & More. Hotels India Offers : Now book your Hotels in Jaipur and get up to 60% discount. Choose your destinations from Hawa Mahal, Pink City, Samode Palace, City Palace, Jal Mahal, Johri Bazaar, Bapu Bazaar, Amber Fort, Triton Mall, World Trade Park, Jain Mandir Sanganer, Bhawani Niketan Girls College, Nahargarh Fort, Birla Mandir Temple (Laxmi Narayan Mandir), Birla Temple, Amber Palace, Galta-Monkey Palace, Rajput PalaceI, SKCON Jaipur, Sri Sri Giridhari Dauji Temple, Birla Auditorium & More.